Lyme and Babesiosis – passed on to babies in the womb. 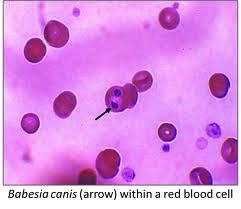 Babesiosis – when the red blood cells are attacked. It can be deadly and mothers can pass it on in vitro. Tick secret revealed: Westchester researchers first to prove baby got babesiosis before birth | The Journal News | LoHud.com | LoHud.com. This entry was posted in Lyme Disease and tagged Babesiosis, disease, in vitro, Lyme, placenta, red blood cells, research, tick borne, vector borne. Bookmark the permalink.